Yet have we asked ourselves what is it that we are trying so hard to get? Surrender does not come easily for us, because we are taught not to give up but keep going. It is actually our nature to want to keep going and persevere because we are co-creative beings, and that is great because to Let Go and Let God is not about surrendering our visions, dreams, goals, plans, wishes – it s about surrendering the idea that those things define our worth and that once acquired we will be fulfilled, successful and happy. Most “getting” is actually not about us; it is about how we are seen in the world and what others think of us. One day I was having lunch with Rev. Amanda Howard and I was telling her how I was second-guessing a vision of “getting” a projector system and how we’d raise the money and why we needed it . She said something to the effect that if I could not be centered in Love, in God and hold the vision, it was not time. I shared with the board that I felt it was not time to move forward with such expensive items and we tabled the improvements. Two weeks later everything fell into place, a movie screen came to us from another church; a congregant purchased the computer, another the projector and another congregant installed it for us. In Proverbs 4:7 we read: The beginning of wisdom is this: Get wisdom, and whatever else you get, get insight.” Insight and wisdom grows in us when we Let go and Let God. Only then are we Present enough to appreciate Life. This evening is Yom Kippur, also known as the Day of Atonement. It is the holiest day of the year in Judaism. Its central themes are atonement and repentance. Take some time to reflect and appreciate life and to contemplate the mystery in which we live and move and have our Being. When we let go of all we think we know, we experience such a rush of love. We are an inclusive community, inspiring holistic spirit-led living. 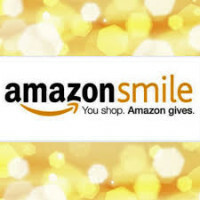 When you use the "Shop now" link below and purchase anything at amazon.com, a percentage of your purchase is returned to Unity of Fort Pierce. Our leaders have discovered how to prosper in every way. You can, too. Rev. Janice Cary sings a new version of "The Lord's Prayer" that she wrote. We sing this at church throughout this year.